Kennan Garvey Ride: Will you ride or sponsor me? Its almost time for the Kennan Garvey Ride to help Phoenix Bikes move into its new home. I encourage anyone who likes to ride a bike to sign up. You can ride for as little or as far as you like on a great bike path that Kennan and I loved and rode often. Despite the heat now, it has been fairly cool for the ride for the past 3 years. I won’t be able to ride this year, but I signed up anyway. I’ll be there for the beginning and plan to help out at one of the rest stops on the ride. If you can’t ride, would you sponsor me with a donation? Or sponsor another rider? Or volunteer to help at the event? This really is an extraordinary non-profit that does so much for kids and our community. They are very close to having enough to move into their new (and much needed) home at Arlington Mill. They will host the National Youth Bike Summit in October and its important they be in their new home by then. Are you ready to ride on August 5 (or cheer someone on) ? We’re getting close to meeting our fundraising goal to build out our new space and the 4th Annual Kennan Garvey Ride on August 5th is a big part of this effort! The course is open to all ages and experience levels, and extends out and back along the entire length of the Washington & Old Dominion Trail (with shorter 15-, 40-, 60- & 90-mile options). The entry fee is $25, with a minimum fundraising level of $100. Registered Phoenix Bikes youth receive complimentary ride entry and all riders and volunteers will receive a FREE shirt and boxed lunch. So please consider taking part in the ride this year – as a rider or as a volunteer – and help make every mile count toward a new space for Phoenix Bikes! Not available to ride this year? Consider sponsoring a rider, such as one of the many Phoenix Bikes youth mechanics who have challenged themselves to ride: Adrian, Ben, Deji, Damian, Erik, Evelyn, Hector, Noe, Samara, Selene, Theresa, and Zenable. Many of the youth riders will be completing personal best distances and your contribution helps to cheer them on. 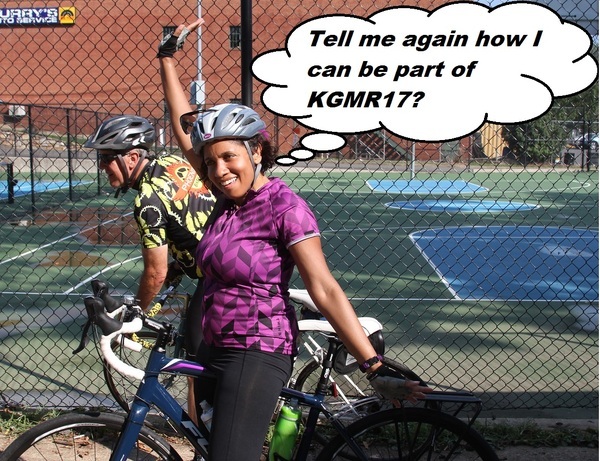 Thanks in advance for your support of KGMR17 and our Capital Campaign! HUGE shout out to all of the bike shops for supporting KGMR17 in this way and to NOVA Parks for permitting our use of the W&OD for the event! Thank you for your support over the last 10 years. With your help, we look forward to launching our next 10 years in a new home! 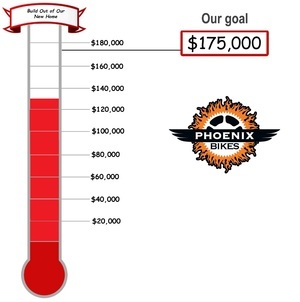 We already have over 70% of the build out funds raised. Your support of the 4th Annual Kennan Garvey Memorial Ride, or via a direct donation to our Capital Campaign, will help get us to our goal & move into Arlington Mill Community Center this calendar year!